If you've been on social media recently, or even watched the news, you've most likely seen the photo of a dress that has had the world talking. Debates sparked up globally when some swore that the dress was white with gold lace and others claimed it was blue with black lace. 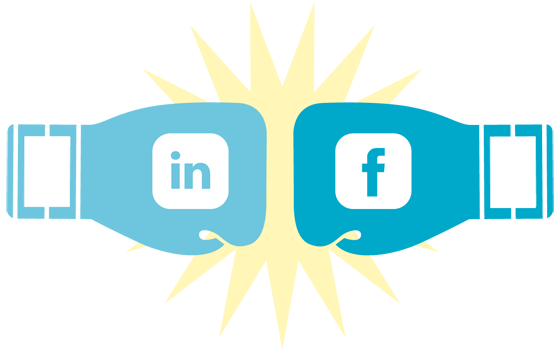 However tedious the debate, the virality of the image has created marketing opportunities. Sites such as BuzzFeed will have gained thousands of hits from reporting the controversy which will in turn, have created views for online advertisers on the site. Companies including Denny's in America have got in on the joke on their social media sites and consequently will have boosted their social media marketing outreach and brand equity. 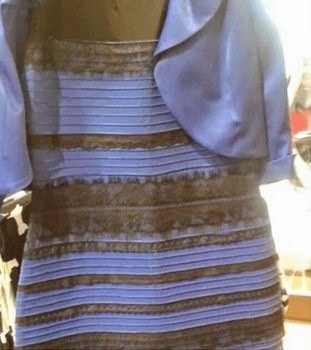 The makers of the dress (which is proven to be blue) have now made orders for the same design to be produced in white and gold and expect to have an increase in sales. ACLU National even used the image next to the statement 'We all see the world differently. We should not be discriminated against because of our beliefs.' Surely a bit of a reach. Whether you think it's jumping on the bandwagon or keeping on top of current affairs, there's money to be made in the ridiculous viral trends social media spits out from time to time. So give the team a ring to see what colour team they're on! Jonny met Terry Gilliam for a brief chat outside Innsbruck Airport - of course he is one of my heroes from Monty Python, famous for his creative cartoons and illustrations. He said "I'm pleased at least someone recognised me...!" 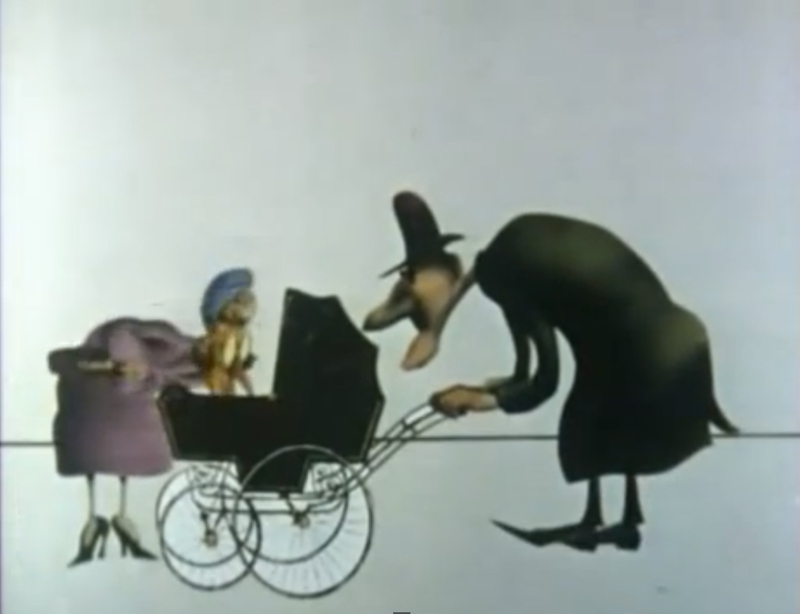 Take a look here for one of his classic sketches. Some of you will have noticed that I no longer wear glasses. So, in October 2014 I decided to have lens replacement. After extensive research and several visits to different surgeons I selected Mr Mark Wevill from Optegra in Birmingham. Mark has vast experience in eye surgery (over 20,000 to date) and my operations were performed over a fortnight, the second op being done two weeks after the first. I am pleased to say that all went really well and this week I was officially 'signed off' by Mark, with a small proviso that I will need a routine 2 minute procedure to clear any scarring/thickening of the lens sack using a laser sometime in the next 12 months. Anyhoo...while I was there he asked me to remind him about what I do for a living and what I do for leisure (he knew already actually but wanted to open some dialogue) and I mentioned my golf and of course my skiing. Well, he has his own website which I am about to help him redesign later this year but in the interim he asked for a 'testimonial' which I was only too pleased to give. I now read without specs and can also do all my sports now without any extra help. Fantastic. The said testimonial can be seen in the picture above and will be apprearing on Mark's website soon I understand. 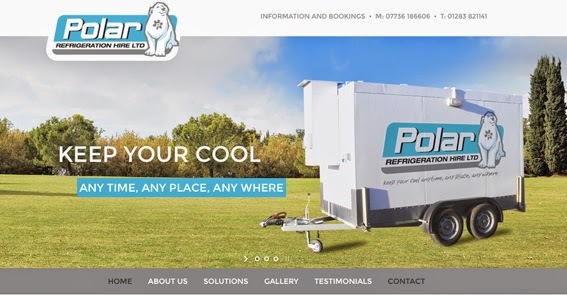 This funky website was developed for Polar Portable Refridgeration. One of our longer standing clients the original site was build by us in 2005. In fact ancient in web terms...one could say it moves at a glacial pace! Polar recognise the need to have a website that responds to mobile devices (in fact in 2014, 94% of first time site visits were via mobile devices - could this be the end of the desktop user I wonder?) It was essential to develop a new look site. If your site is suffering from a touch of the 'olds' then why not give us a call on 01332 291141, we'd be happy to discuss your needs and offer best advice to help you refresh that brand! 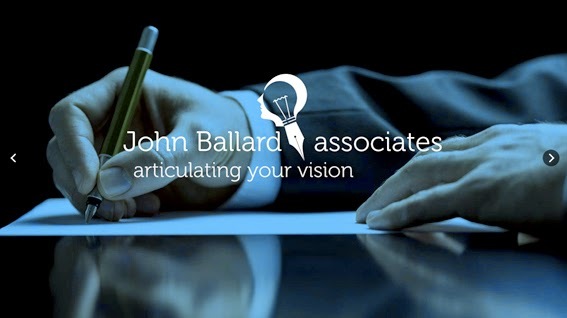 We have known John Ballard for years now...he is a prolific writer and thought leader. John wanted a new branding and website to help him launch his latest venture. 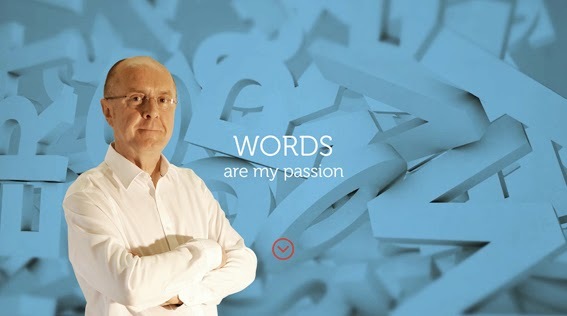 John Ballard Associates, who specialise in verbal brand developement, wordsmithing and copywriting. The site is designed to respond to mobile browsers of course and has a quirky look and feel which suits his personality. If you have a service or want to improve the look of your current identity or website you should call us on 01332 291141 now! Have you ever heard of Fibonacci's "Golden Section"? Chances are, you probably haven't..but you come into contact with it every single day and in virtually everything you do! Fibonacci was the first mathematician to recognise a particular sequence of numbers, each number is the sum of the previous two numbers. 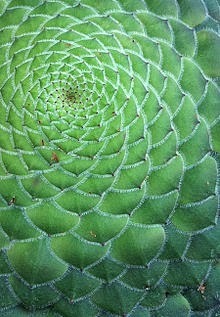 Fibonacci began the sequence not with 0, 1, 1, 2, as modern mathematicians do but with 1,1, 2, etc. He carried the calculation up to the thirteenth place (fourteenth in modern counting). These numbers also give us a 'golden section ratio'. This is a set of geometric patterns that are aesthetically pleasing to the eye. Fibonacci was the inspiration that gave us Nautilus Communication's branding ID and new website. 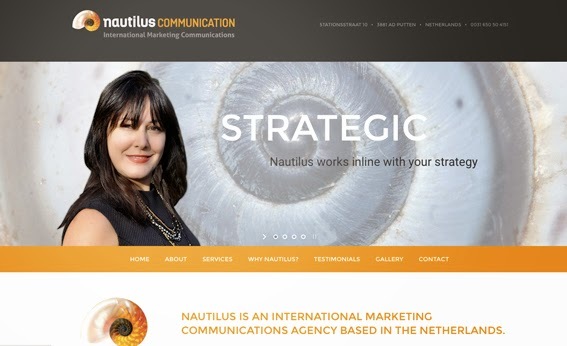 The brainchild of Nilufer Van Steeg, Nautilus offers a Europe wide marketing and communication service. Nil has extensive experience in brand building as well as customer service. We have known Nil for around 12 years now and it has been fantastic working with her on this exciting new venture - we wish her all the best. The new website aims to underpin this experience and help Nil to promote her extensive services. If its right by nature then it must be right! We all know the IT sector moves fast - but even we were amazed at how fast RSM can make decisions and implement actions. 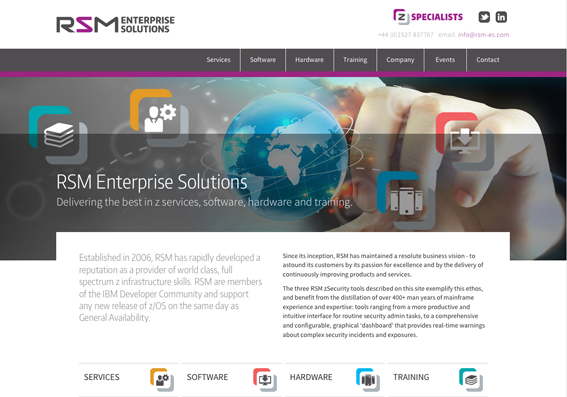 In early December, we had a meeting with RSM to discuss the possibility of merging four websites (two of which we had only recently completed and two additional service levels). We would have to create a realistic proposition for the group, new branding, new iconology and a new website. Oh and by the way, this all had to be ready by January 20th...! Now that is what I call a brief. The good news is that we delivered all the finished design work, coding, copy writing, printed cards and the finished website on time and on budget.